It is recommendable to book your hotel or apartment for Holy Week in Seville with more than two months in advance to make sure you find lodging to your liking. Also, it's worth to plan a stay during the beginning of the week, because from thursday on it is holiday in Spain and the city gets (over)crowded. The chances to find flights, good lodging and enjoy better views over the processions and the city itself are considerably higher from sunday to wednesday. Starting on Domingo de Ramos (Palm Sunday), and ending on Domingo de Resurrección (Easter Sunday), there are almost 60 brotherhoods that pay the religious visit to the Cathedral of Seville. and a float with a Dolorosa (Mary the Virgin in pain) under a canopy. Some brotherhoods even carry three floats, like the so-called: El Amor, La Cena, San Benito, or la Trinidad, others have just one like Santa Marta, La Quinta Angustia, la Soledad de San Buenaventura, or la Soledad de San Lorenzo. 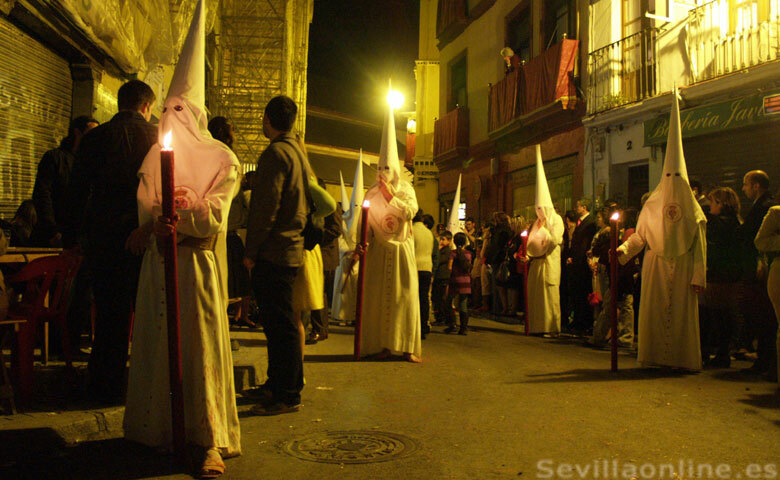 The number of spectators may rise up to the impressing number of one million people during the most important moments of Semana Santa for the sevillians. The early morning of Good Friday which is when the brotherhoods of el Silencio, el Gran Poder, La Macarena, El Calvario, La Esperanza de Triana and los Gitanos set off for their processional penitence to the Cathedral of Seville.